No waiting around if everyone's dead already. PlayerUnknown's Battlegrounds' (PUBG) Closed Experimental Server is live again, letting players jump back into the new map, codenamed Savage. In a post on the Steam Community page, the publisher offered further details about additions to the map and testing goals during the period, which ends on April 18 at 6pm PDT. One bit that jumps out in the Patch Notes is a new take on the Blue Zone. According to the PUBG Corp, "A new feature enables the bluezone to calculate and adjust its waiting time based on the number of players left alive." This means if a lot of players have died, the blue zone no longer waits a long interval between zone shrinks. Instead, it looks at the number of players left and decides, "Yep, I need to force these folks together." The slower blue zone is one of the problems with PUBG's mid-game, in that it can lead to a rather lengthy waiting game. With this change, matches should go a lot quicker. 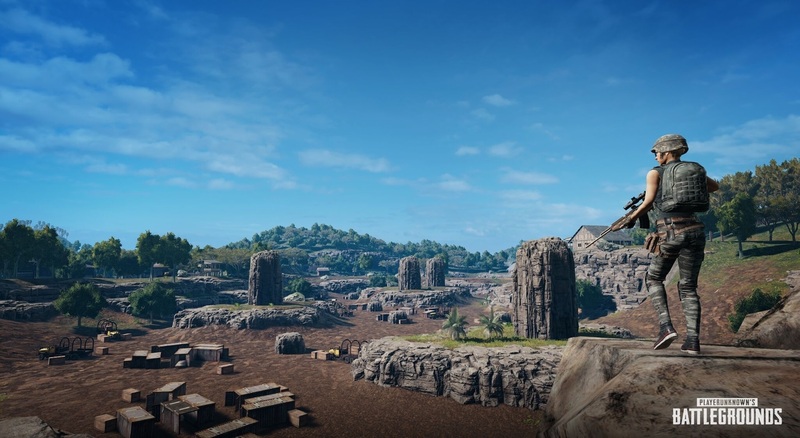 Other changes include three new locations on the map: the Banyan Grove and Abandoned Quarry in the middle of the island and the Dock to the southeast. The red zone, where the game bombs players into oblivion, has had its size and duration decreased. One of the better features of the Savage map, dynamic weather, now changes in real-time as opposed to before where it changed once a map. There are also a host of bug fixes and spawn changes to the map. If you're looking to take a crack the changed map, you can pick up a key from our Savage Map giveaway. It's only available to PC players at the moment. If you want more info, we've got a complete guide to getting a PUBG Savage Map Beta Code. For general game help, check out our PUBG guide, as well as our guide to PUBG Mobile. Tagged with News,	PC,	PlayerUnknown's Battlegrounds (PUBG),	PUBG Corp.. Here's our essential PUBG guide, including a beginner's guide, tips and tricks, best weapons, and best attachments, on the PC, PS4, and Xbox One.